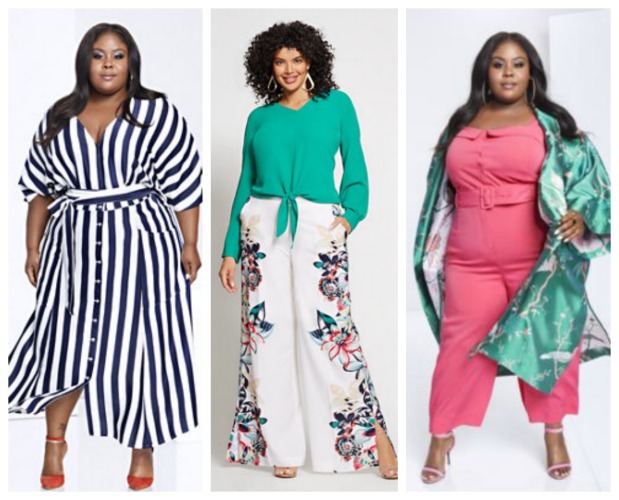 A few months ago I shared with all of you that Gabrielle Union’s spring 2018 campaign featured her co-stars from the hit show “Being Mary Jane.” Via Facebook, some of you were excited and some of you were disappointed because the spring collection only went up to a size 20. 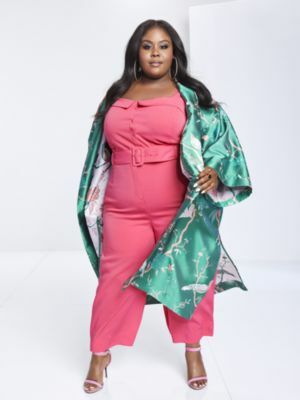 Many of you expressed that you felt as if they included Raven Goodwin as a way to make it seem like they really offered plus when they didn’t. Well, today, Gabrielle released her newest New York & Company collection and it includes plus sizes. YEAH! Finally! I had to double check and make sure before I told you guys. I know how ya’ll get. 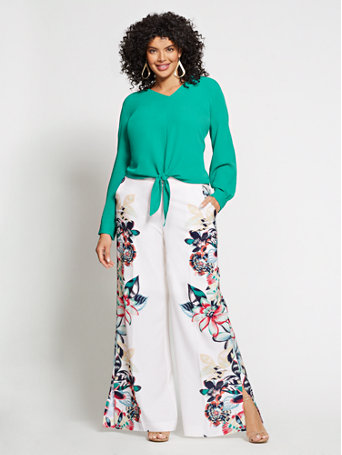 I clicked on the plus size link on the New York & Company site and saw that Gabrielle Union plus is a real thing. There are quite a few pieces available now. Sizing ranges from 1X-3X. 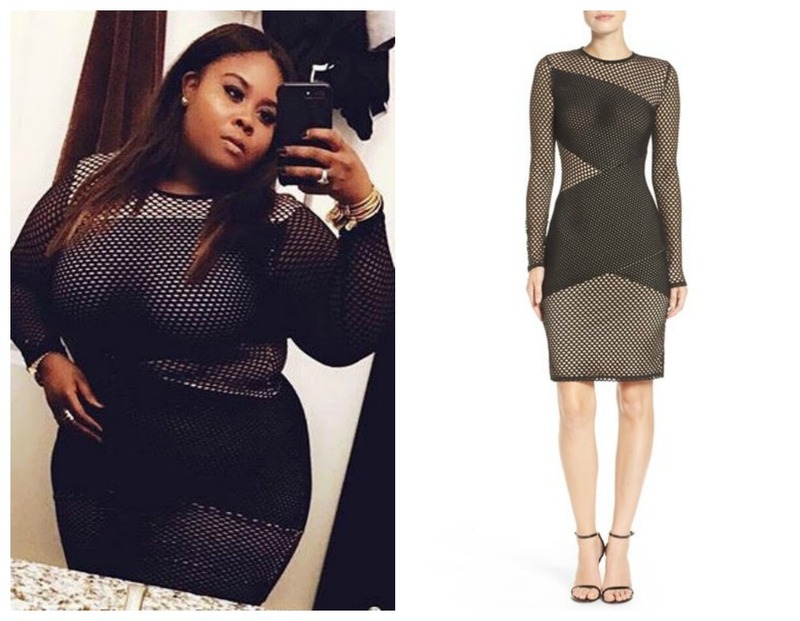 Raven Goodwin is modelling two pieces from the Gabrielle Union collection. This collection offers up everything from chic kimono’s, feminine jumpsuits, and sassy body con dresses. Its one of those collections that has pieces for every style. I love the diversity that this campaign shows. You have a group of women who are of different ages and sizes. They all look so chic. She’s also sporting this girly pink jumpsuit and satin kimono. I read this article and found it very interesting, thought it might be something for you. The article is called Finally! 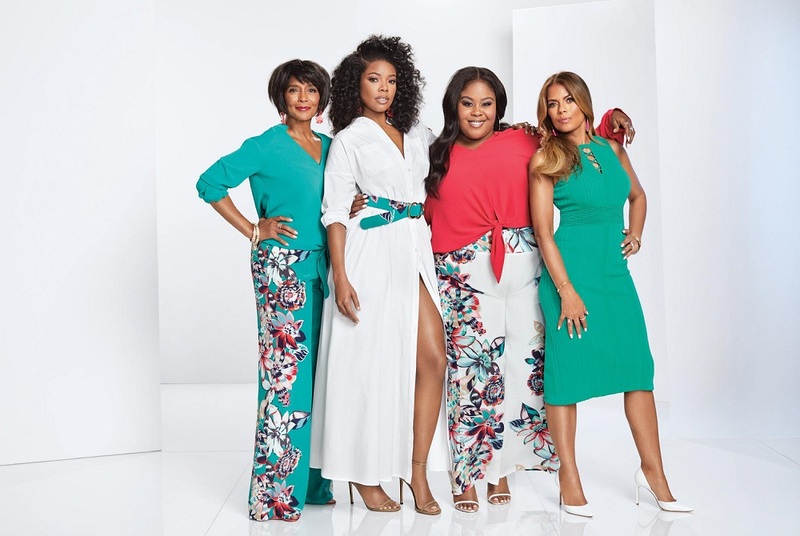 Gabrielle Union’s New York & Company Collection Comes In Plus Sizes Up To 3X and is located at https://stylishcurves.com/new-gabrielle-union-new-york-company-plus-size-clothing-collection/.